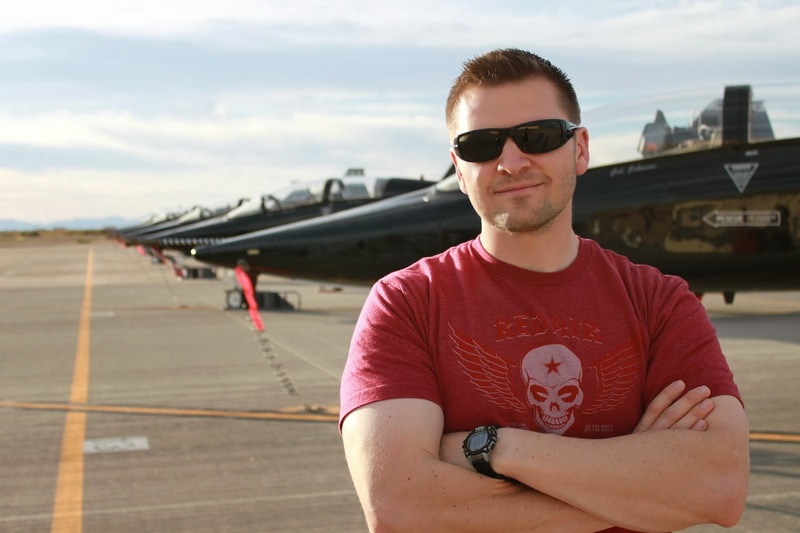 Today we are joined by Rob Burgon, an F-22 Raptor pilot in the United States Air Force. Rob didn’t start out like many fighter pilots do. He found out later on in life that he really wanted to do this aviation thing, and serve his country while doing it. This decision process started on his first business trip for an investment firm. The date was 9-11-2001. Sitting in an airport after having been forced to land, he felt the need to do something for his country. 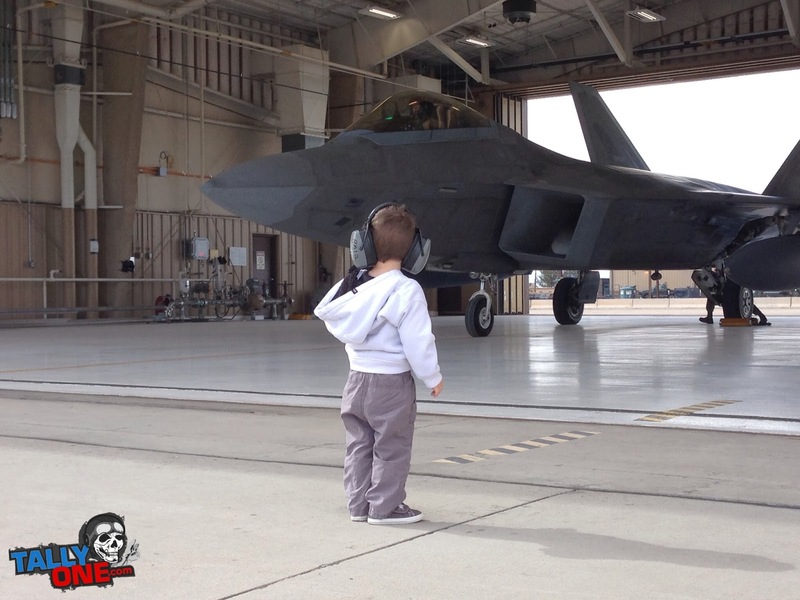 Eventually Rob would qualify for Flight School, and eventually be flying the F-22 Raptor. Today he is active duty on the East Coast of the US. He has a young family, a love for his country, and a passion for aviation. Huge thanks to Rob for joining us on this show. Thanks so much for serving our country. In addition, thank you for inspiring us all with your aviation story. Godspeed! This is Aviator Cast episode 48. Bandit locked, FOX-3! Calling all aviators, pilots and aviation lovers, welcome to AviatorCast, where we close the gap between real aviation and flight simulation. Climb aboard, buckle up and prepare for takeoff. Here’s your host, Chris Palmer. Chris: Welcome, welcome, welcome aviators, you’ve landed at AviatorCast.My name is Chris Palmer. High, low, fast or slow, big, small, jet or prop, what’s not to love about airplanes? Like you, I happen to be crazy about aviation. I’m the founder and owner of Angle of Attack, a flight training company which is bringing you this podcast today. AviatorCast is a weekly podcast where we talk about the spirit of the aviator. We believe flying is an art form, one that have to continually practice and master. This mastery is gained through a focus on continual learning, human factors, humility and a commitment to excellence. Show notes, transcript, community discussion and links for this episode can be found by simply going to AviatorCast.com. Thanks Mike, much appreciated. Good luck with your pilot’s license. I encourage you to continue to go toward that direction. It is one of those things in life that I don’t think many people regret. You will achieve so much in your private pilot license or anything that you do. So first and foremost, you’re going to just be a more confident guy and if nothing else, you have this thing in your back pocket, this thing called the pilot’s license that lets you go experience life and this world in a completely different way, suspended above the earth. I love being a pilot and I encourage many people, even you Mike to be a pilot and become a pilot. Speaking of that, we have a very interesting guess today, an awesome story from Rob Burgon. Rob Burgon is a fighter pilot for the United States Air Force, and he joins us today to talk about his journey to the cockpit of a very high-powered and very technologically advanced fighter jet that all of you will recognize the name of, I’m not going to give away the name quite yet, but this is an exciting interview with Rob. Rob is a top notch guy and you can just tell that he absolutely loves aviation. And his story is a bit unique as well. He’s not the type that just always knew that he was going to become a pilot, he decided later on in life that he was going to become a pilot and decided to go the military route and the little nugget that I will give to you and have already given to you is that he ends up becoming a fighter pilot for the United States Air Force. So we have a very interesting discussion with Rob. I know that on this podcast we don’t really talk about military aviation too much but I just found this to be a fantastic interview. So let’s not delay any further, let’s get right into it with Rob Burgon. Chris: Alright everybody, we are honored to have a very special guest with us today, Rob Burgon. How are you doing Rob? Rob: Yeah, I’m doing pretty good Chris. Great to be on the show. Chris: Yeah, it’s great to have you. Now, you have a podcast called Slipstream Radio in which you and Brent Owens talk about some different topics, aviation topics, really great podcast. Tell us a little bit about yourself as far as your aviation career quickly so we can just get an idea of where you’ve been. Rob: Maybe I’ll work backwards here. So right now, I’m flying the F-20 Raptor. I have been doing that for several years now. Prior to that, I was a T-38 instructor, UPT, so undergraduate pilot training for the air force. And then before that, I actually was a civilian working a finance job. So it’s kind of been the long way around getting to where I am and flying professionally but that’s it in a nutshell. Chris: So and you I were talking before the show. I am in Utah right now visiting family, this is where I grew up, and you mentioned right before the show that you have family here too. It just so happens that I did my flight training at the college you went to so that’s pretty interesting. Rob: Yeah, small world. I did not expect that. That was cool to make that connection. Chris: Now, tell the audience what you told me about your degree and 9/11 and kind of how this all played into this aviation thing. Rob: You bet. So I got my degree in finance and I had these delusions of grandeur if you will about going back east, becoming a big investment banker and making my millions out there and so I started down that course. I got a job with a venture capital type company out in Boston. And the job required a lot of travel and I remembered my very first business trip was actually on 9/11 and I actually didn’t fly out of the Boston Logan Airport that morning, I flew out of Providence Road Island. I was airborne and I remember because I had flown several times before on commercial aircraft and I remember we descended after we’d been airborne for only a short amount of time and we were low for quite a while which I thought was kind of weird. I thought maybe we had some kind of malfunction or something. Then we eventually landed at our destination and there was like absolutely no movement on the ground and it was really just weird, and getting into the terminal, all the people huddled around TV screens and I’m asking just some bystanders what had happened and they told me. It kind of was that surreal moment that was just very difficult for our country as a whole and it was just really a weird feeling that day. But something else that day, I really felt that surge of patriotism and I wanted to do something to serve my country and to be a part of the fight. Over the next couple of years as I worked this finance job and I was sitting behind the desk I just felt like I couldn’t sit behind the desk anymore, I had to get out and go do something. My whole life I’d wanted to fly right up until just after high school when I thought making money was probably more important but I tell you what, it was pretty easy to make a decision to switch over to aviation and especially at that time in our country’s history, it just seem like the right thing to do. Chris: Was there any sort of a-ha moment that you had where you knew it was time? Rob: You know, there was. I had been kind of doing some research on the internet and I had found a blog. It was kind of a student journal from an air force pilot training student and his name was Jason Barton. He is an amazing person. Unfortunately he is not with us anymore. But he actually had a lot to do with me kind of accepting the risk of leaving this good-paying job and going into the air force not knowing if I was actually going to get those wings because once you join up with the air force, there is no certainty whatsoever. These are the air force. He did a lot to kind of help me have that a-ha moment that “Hey yeah, I can do this and I’m going to go for it.” I really do credit him with a lot of going through that initial gate. Chris: Great. Cool. I don’t know. The way you explained it before the show is you said you went from being basically a spreadsheet guy to an F-22 pilot so I guess we’re going to be talking about that gap today but that’s really cool. I mean, thank you so much for serving our country and that call to action is really amazing to see. It kind of reminds of the greatest generation of World War II where people answered the call to action for this country and went and fought the great war there, so thank you for your service. I really appreciate that. Rob: Well thanks. That’s always nice to hear. I agree with you wholeheartedly, like the greatest generation. I feel like there was a different type of patriotism in their generation. We certainly have patriotism in ours, don’t get me wrong. We are I think a very strong country but there’s truly something magical about that era. Rob: Well actually, that kind of goes back to the greatest generation. Not that I was there but my grandpa was a B-25 pilot towards the end of World War II. So as I grew up, I had a lot of aviation influence from him. My other grandfather had done some work for the airlines and has a private pilot license. So he also helped contribute to this love of aviation that was growing within me as a child. I’d be going to air shows and watching movies and reading books and they just kind of fed the beast if you will. Just over time, just kind of grew and grew. I can’t really explain why I didn’t pursue a career in professional aviation right out of high school or through college. Honestly I have no explanation for that. Maybe it was the money thing. Somehow I just lost track of it. But it never went away. As I’m sitting out there in Boston behind that desk, and don’t get me wrong, the company I worked for was awesome and it was a great job and I really enjoyed it but there’s just kind of that missing piece. Once I did make that decision, I had that moment that we talked about earlier that it seemed to fill that void and I just never really look back. Chris: Definitely. That’s awesome. So that was kind of my next job actually, is who were your aviation mentors and I’m sure that your grandfathers were and also the guy that had the blog. Is there anyone else that comes to mind or do you want to expound on them at all? Rob: Yeah, absolutely. My grandfathers, both of them have been very supportive. As I was growing up they were present in my life and they definitely had a lot to do with kind of fueling the fire there for aviation. And Jason, it’s been a while since I’ve been able to talk to him but he was a very good influence. Like I said, I contacted him through his blog and he actually gave me his phone number. I was like “Hey man, give me a call sometime and I can kind of talk you through the process of application and stuff and so we talked several times and he really helped me get through the bureaucracy and the paperwork of getting into the air force. And then kind of during my year of pilot training, we just kind of lost contact. We’re both very busy. He was active duty flying and I was going through pilot training which is in and of itself a pretty big undertaking. Eventually we reconnected and I found out that he was actually somehow had picked up a job with a reserve unit and was actually make a switch over from active duty to the reserves. On the side, he was a Pilatus PC-12 instructor. So he was out actually one day with a student doing emergency patterns, landings and unfortunately something went wrong and they ended up crashing just short of the runway. Actually, neither of them made it out of the crash. So pretty sad day. 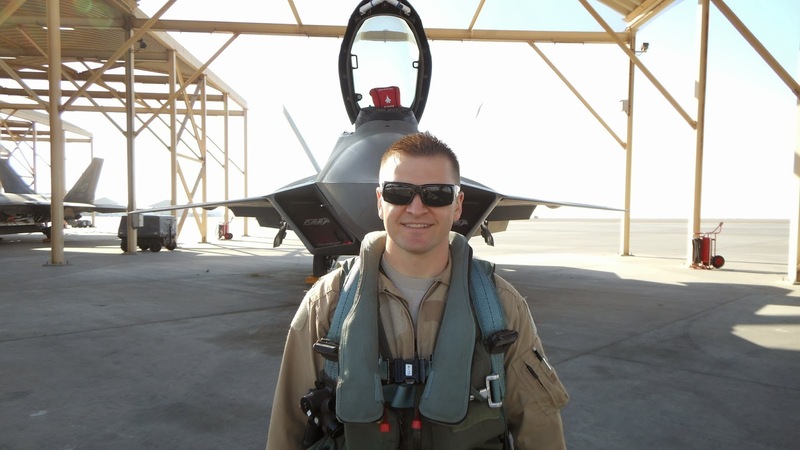 But looking back to everything that Jason contributed to not just helping me but helping a lot of other guys via his blog get into the air force and make their love of aviation their profession. That to me a huge contribution and definitely a legacy that he leaves behind. Chris: And I think that’s torch that all of us take that it’s up to us to pass on that passion to other people. I definitely think you’re doing that through your blog and your podcast and so that honors his name. I can’t imagine what it’s like to lose a friend in aviation. I haven’t had that happen yet. Hope it doesn’t happen it seems like it’s something that pretty much happens to every pilot eventually. Rob: Yeah, yeah. Unfortunately it is kind of a part of life as a pilot. There are definitely risks that we take every time we go fly and really all we can do is try to mitigate them to the maximal extent possible and kind of go from there. Chris: Great. So let’s shift gears a little bit. Let’s talk about the different types of airplanes you’ve flown. Your hangar-full of airplanes if you will. It’s going to be a lot different from a civilian guy so it’d be pretty interesting to see what you’ve flown. Rob: Yeah. Surprisingly, it’s probably not as full as some of the civilian guys. Back when I was going through pilot training right before I started, the air force basically put me through private pilot’s program. Up that point, I already had about 40 hours that I had been working on towards my PPL mostly in Cherokee Warrior but the little flight school that they sent me to to finish up just had like Cessna-172s. So I finished up in that. I’ve flown just kind of the little single props, Piper Archer, a Diamond Katana. I think that’s about it on the civilian side. And then once I got into the air force doing the air force flying, I started out flying the T-37, if you’ve ever heard of the Tweet. It’s a little twin engine jet. It’s actually built by Cessna back in the 1950s. That thing was awesome. It was like extremely loud and very high pitched. It’s everything you’d expect a jet that was built in 1950 to be. Chris: Kind of the man’s jet probably. Rob: Yeah. The instructor sat like right next to you. You still wore like the helmet oxygen mask and the parachute but you didn’t like a G-suit. And the thing that sucked about that jet was that the instructor, like if you had like an salty old crusty guy that was your instructor, he’d reach over and like grab your oxygen mask and like pinch it so you couldn’t breathe, kind of give you a shake there if you were messing something up. Rob: Yeah. It was pretty interesting. And then we moved on from that to the T-38 which also a pretty old jet. Most of those were built in the 60s. If you’ve ever seen the Chase aircraft or the shuttle, those white T-38s that NASA flies, that’s the same thing. But what they’ve done is they’ve given it a glass cockpit and given it some engine upgrades to kind of bring it a little bit more into the present technology of flying. But still the jet is amazing. It takes a beating and just keeps going. Chris: Well it ought to be good if it stayed around that long. Rob: Oh yeah. And it’s not going away in the foreseeable future. In fact, we use T-38s right now as Red Air, as a training platform for the fighters and it actually can put up a pretty good fight believe it or not so it’s a good little jet to have around. I flew that one for quite a while. I got my wings in that jet and then actually my first assignment was to go through pilot instructor training and then go back to the schoolhouse as an instructor. I did that for about three years and then towards the end of that assignment, I got my assignment to come fly the Raptor. But the unique thing about the Raptor, there’s no two-seat models so up to this point, I’d never been to a tanker and done air refueling. I’ve never flown with MPGs. You don’t do any of that stuff in pilot training. And so you don’t want to be doing that for your first time by yourself. So what they did is they sent me in with some of the other guys who were first time going straight from T-38s to the Raptor. They sent us out to Luke Air Force Base where we got to essentially fly a transition course in the F-16. I got like 12 Reds in the front seat. That jet was actually pretty fun to fly. It’s just a little sports car and it’s got amazing visibility from the cockpit. Chris: I bet. That wraparound view. Rob: Oh yeah. It’s great. The cockpit is so small. It’s just like putting on a glove. The Raptor feels like a spacious office building compared to this tight little cockpit. So that was a lot of fun. And then after that, obviously the next step was a Raptor. Chris: Great. Man, what a leap. Pretty wild. Tell us about the first time you soloed a jet. What was that like? Rob: Yeah. So that was the Tweet. That was the mighty T-37. I’ll tell you what, I did not sleep at all the night before. Because you don’t go very many rides before you solo that day. I think if I remember right, it was only like 7 or 8 flights that I had with an instructor before taking the Tweet solo. The pilot training air space for somebody who’s never flown IFRs, has never flown a depature or anything, when you get to pilot training, it seems very complex. So here you are, you’ve done seven flights, a few simulators, and here you are flying an instrument departure, you’re going out to this controlled air space and checking out in with the airspace control, doing your thing and trying to stand in your little piece of the sky because it’s all sectioned off. There’s a whole bunch of other aircraft out there, and then finding your back to the field and getting into a pattern that’s just saturated with other students so nobody really knows what they’re doing and it’s just this chaos. So it was a lot of fun that I remember. The T-37 actually at that time had the quickest G onset rate of any aircraft in the inventory, at least that was what all the instructors told us. It’s true. You’d pull back on a stick and you were just instantly under G. Not very many. It’d only pull like 4 Gs or something before you’d over G it but it’s enough that if you weren’t ready for it, you actually could like G-lock yourself, black yourself out. I remember just doing a split S and essentially just honking on the stick there and not really prepping my body that much and I just remembered getting a little bit of gray, a little tunnel vision and thinking like “Holy crap. I’m all by myself in this jet. This stuff is real. I could G-lock myself and by a smoking hole in the ground.” So that was kind of a wakeup call for me. Chris: Yeah, no kidding. What safety mechanisms are there for that or is it mostly just your own physical preparation to make sure you don’t over-G and black out? Rob: Yeah. So in the T-37, there’s nothing. It’s all up to you. It’s really not difficult with only 4 Gs. That’s not bad. You just need to get used to it. You need to watch your diet, watch your exercise and make sure that you’re tensing up your leg muscles to keep the blood from pulling in your feet. Like the Raptor, I mean the Raptor is a G monster, like no kidding, you can sustain 9 Gs. You can accelerate while your pulling 9 Gs which is something that other aircraft really can’t do. We have a pretty good G-suit. It’s basically just a set of pants if you think of it like that that you put on that’s got air bladders that are located on and around your arteries that as you put G on the jet, it will automatically inflate and constrict the blood flow in your legs and lower abdomen. That helps a lot but really the best thing that you can do, the absolute best thing you can do regardless of whether or not you have that help is just tensing up the muscles in your lower body and using a breathing technique they teach you. Chris: Right. You always see the videos on YouTube where guys are taking rides in the Thunderbirds or the Blue Angels and they’re just passing out like all the time. I mean sorry if I’m ignorant there. I just don’t know like the systems that kind of help you out with that but I would imagine that the best system is just to remain healthy and yeah, know the breathing techniques and things like that. Rob: Yeah absolutely. And everybody is different too. Some guys have a very high resting G tolerance where they don’t even really have to strain and other guys like start having to strain right at four Gs or something. Everybody is a little bit different. There’s a lot of physiology that goes into it, science. Chris: Right, yeah, science. It’s all science. That’s the motto of the show. So out of all those airplanes, what’s your favorite one to fly? Rob: Well, I’ve got the say the Raptor. It’s just such an amazing jet. There’s really no other aircraft in the world like it. That thing was built to be just a beast. It’s actually a very easy jet to fly. The difficulty really comes in processing all the information that it gives you and employing it tactically. Chris: Yeah. That makes sense. Seeing those at air shows and what they’re capable of doing, it just blows my mind. It doesn’t even seem possible for an airplane to do that kind of stuff. Rob: Yeah. I mean you throw how overpowered this thing is, you throw that into the mix with the fact that it’s got thrust vectoring and so now you’ve got like essentially an extra flight control that most other aircraft don’t have. There are a couple of jets out there that have thrust factoring. I can fly, we call it post stall so the wing will be fully stalled out but you will be still pointing your nose up and you could actually still be maintaining altitude so yeah it’s pretty amazing. Chris: Exactly. Because it’s all instinct right? Once you get in the fighter or whatever. Rob: Oh yeah. The adrenaline kind of kicks in and things start going and things start getting busy and you’re thinking about employing, you’re thinking about running your tactics and next thing I knew, I’m doing a strength conversion on one of the bandits and I’m pulling like 8-1/2 Gs in the strength conversion and I’m like “Man, this hurts a lot worse than it normally does.” I’m like really having to strain just to stay awake and as I’m doing that, I’m noticing like I’m getting that tunnel vision, kind of like I got that day that I told you my first solo in the Tweet just when I really quickly pull the Gs. But this was, it was like really closed in. I was having a lot of we call it light loss, you actually lose your color vision while you’re doing that. I recognized that and immediately I pulled the throttles back and unload the jet to get to unload the G and just kind of roll towards. At this point, I’d lost almost all vision at this point and I just remember the horizon thing and just kind of keeping some back sick pressure to get the nose up and when my vision came back, I was like about 20 degrees nose high and there was a moment in time there where I just felt a little confused and I was like “Man, I’m sure I experienced some low level of loss of consciousness.” It was scary. My heart was going. At that point, I’d lose track of the bandit that I was running my intercept on and I ended up having to call knock it off and basically just knocking off the fight. Once somebody calls knock it off, everybody gets in these little sanctuary altitudes and everybody starts worrying about deconfliction so I knew at that point, as long as I was in my little sanctuary altitude, I should be okay and ended up just going straight back to the field and landed. But it really shook me up and it was good lesson that like hey, if you have a system malfunction which I did, you’ve got to honor that. You can’t just pay it lip service. We have training rules. We have procedures for a reason. And it’s not that I was going against any procedures at that time but it was more that I think I just made a less than conservative decision that could have had really dramatic consequences. I’m just happy that I stayed awake with absolutely no support from my anti-G system under 8-1/2 Gs. I’ve actually felt kind of awesome after that a little bit but at the same time kind of scared. Chris: Yeah. I can’t imagine that. So if I understand right, like you pulled behind the bogey and you were doing your Gs there and that’s kind of when it all happened when you’re right on his tail? Do I understand it right? Rob: Yeah. Usually like on an intercept like on a strength conversion. In this particular intercept, it was a high aspect so we were kind of nose to nose. I was about 10,000 feet or so above him. When you use the term bogey, that implies like a lack of ID. I know that Top Gun movie, everyone talks bogey, but bogey is this you don’t know the allegiance. You don’t know if it’s a friend. You don’t know if it’s a foe, neutral. So for a guy that’s been a bandit, he’s been identified as “Alright, this is a foe. If he’s just a bandit, maybe I can shoot him, maybe I can’t.” It all depends on the rules on engagement. It’s what you can do with a bandit versus a bogey. Chris: Great lesson. I like that. Rob: But yeah. Executing this intercept from 10,000 feet above the guy. He had no idea was there. In fact, throughout the entire intercept he never saw me. He had no clue that I was doing the intercept and my whole goal was to arrive at a point behind him where I could shoot it. Just to get where I needed to be required about that 8-1/2 G pool in order not to overshoot his altitude in a vertical. Chris: Crazy. 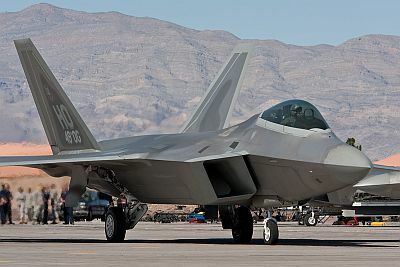 I keep forgetting, I don’t know why but I keep forgetting that the F-22 is stealth right? So they’re not going to see you on radar or anything. It’s wild. Rob: Yeah, which is awesome for us but it also makes for some interesting training scenarios because a lot of time even though you’re fighting against a training platform, you’re all working together to make sure that the flight is safely executed. So if they have say awareness on you, then they can deconflict and they can make sure that they’re not going to run their aircraft into you but if they have no idea where you are, then the it’s completely on you as a Raptor pilot in order to maintain that deconfliction. Chris: Yeah. I’m sure the systems and everything of the Raptor are top secret but if I could learn about that, it would just be fascinating because I’m sure there’s so much technology in that thing that just helps with scenarios like that. Rob: Oh yeah. It’s wild. I mean, these guys, these engineers that come up with this stuff, my hat goes off for them. They are some pretty smart individuals. Chris: Alright, so switching gears here. Have you ever been deployed overseas? Chris: Okay, tell us about that. Rob: So I can’t really talk a whole lot about deployments but what I can tell you is the air force, our air force is the greatest expeditionary air force in the world and what that means when we say expeditionary is that you can pick up a unit, pick up a squadron and take them anywhere in the world in a relatively short amount of time and as soon as you get on the ground, you are ready to go to war. It is amazing and the fact that our air force has that capability to just pick up and move, I mean it’s a very large operation when you think about it. Even if you’re only to take like a couple of fighters and you’re going to go take them somewhere, anywhere in the world, you’re going to have to take a cat of hundreds. You’ve got your maintainers obviously and within the maintenance section, you need to make sure you got the jet engine mechanics. You need to make sure you got the structures guys, the metals guys, the crew chiefs and all those guys who are going to require supervision. So you got all those guys. In addition to that, you have all the life support folks that do the air crew flight equipment like the G-suit, the parachute, harness, the helmets. It is a huge undertaking to take a group that large and with that much equipment and just park them somewhere around the world. The fact that we’ve got this down almost to a science is really very impressive and pretty amazing when you think about it. Chris: Yea. The military is a very organized that if there’s anything you can say about them, it’s that. Cool. I know you can’t talk about the specifics or sometimes even the wares but that was interesting. Rob: Yeah. I tell you what. I sure wish I could. Chris: Someday, you can tell your grandchildren or something like that. Rob: Yeah, there you go. Chris: Alright, so I want to get into military training a little bit and kind of pick your brain on what it was like and also for those who are younger or deciding to go into flying and they have kind of this decision point what direction they should go and some considerations to take into account in making that decision. So we talk a lot about civilian training on this show. We really haven’t talked a lot about military training just because we haven’t had anyone on this show that is of your caliber, a fighter pilot. So I’d like to get into that a little bit. Now, we got into your backstory. So you kind of decided that you were just going to go into the military and it kind of made sense with the background with your grandfathers and stuff like that and kind of your connection to patriotism. For others, how do you compare between the civilian and the military side? What would you say the decision process is there for someone that’s looking to get into, rather comparing the two and deciding which one they want to get into? Chris: Well, I think it’s all lifestyle. Because you think about really what’s important to you. Is it important that you’re home every night or are you the kind of person that likes to travel, go around the world? The military actually has both options available to you. If you like to travel and spend time on the road, you could be a tanker pilot, a transport pilot. I mean those guys are gone all the time. But as a fighter guy, you’re pretty much flying around the flagpole. You go out to the airspace, you do your flight and you come home. You’re not logging as many hours as the tanker transport guys but that 1.1 or 1.2 that you’re logging a few times a week is extremely action-packed and it is a very busy time. In addition to flying, it’s different because they are such short flights and they are very intense. It requires a very, very significant amount of preparation. A lot of the tanker transport guys, they’ll show up and they’ll be handed “Hey, here’s the flight plan that’s been done.” They need to have it that way because they can’t spend hours in the day prior planning for their mission. They’ve got to just be able to show up, take their mission materials and go whereas we’ll spend like an entire day, 12 hours or more planning up a mission. And so you really got to decide if you’re thinking civilian and military, like “What do I want lifestyle-wise” and being the military, it’s not just flying. If you’re a delta pilot or you’re flying for the airlines or flying professionally in the civilian side. At least, most of my friends that do that that fly for the airlines tell me “That is your job. Your job is to fly and that is awesome.” In the air force, you are an officer first. Yes, your job title is pilot but there is so much other stuff that needs to be done. We each have additional ground duties. You take those ground duties and kind of add them to your flying duties and it makes for a very busy life. And then you’ll sprinkle in some deployments, sprinkle in TDYs or temporary duty or you’re on the road for like an exercise or something like a red flag for example. The days really add up that you’re away from home and not just being gone separated by distance but just separated by time. Several times, I’ll leave for work early, like well before the family wakes up and I’ll get home after the kids are down. Rob: Yeah, but at the same time very fulfilling. So that’s kind of the tradeoff that you need to weigh as you’re trying to decide whether or not you want to go the civilian route or the military route, is what kind of fulfillment do I want for my flying or what is fulfillment for me as a pilot. Because being an airline pilot can be extremely fulfilling for some people and for other people, they have to fly fighters. So you just got to figure it out. Chris: Yeah. I think you get that kind of expect in both civilian and military. So obviously in the military like your example, you could choose to do transport or fighters or whatever, you kind of choose what works better for you. And in civil aviation it’s much the same where you can choose to be a flight instructor or you can choose to be an airline pilot or a corporate pilot or any myriad of other jobs that are out there and really what it boils down to at the end of the day is lifestyle. When I first fell in love with aviation, I wanted to be an airline pilot. That’s what I worked for, that was my goal. And then I realized “You know what? I’m kind of a family-first type of guy and so that’s not really going to work super well for me.” So I kind of took things a different direction. So yeah, a really good advice there that you need to think about what your lifestyle is like. Rob: Yeah. You got to love what you do. That was the thing for me when I was working that finance job, is I liked it a lot but I can tell that it wasn’t really my love. It wasn’t what I really wanted to do in life. It made a big difference just in my day to day happiness once I decided to make the switch. You just got to figure out what makes you happy and just go after it. Chris: Great. Love that. So tell us a little bit about preparation. Now, for someone that is looking to go straight into the military right out of high school or something like that, it’s going to be a little bit different than your path but the paths are similar in the level of quality person I guess or quality character you need to have. Tell us a little bit about who you need to be to qualify to be a fighter pilot or even someone in the military. Rob: Yeah. So it definitely is going to depend on which route you take to get into the air force. Right now, there’s kind of three ways to get in. So the first way and it’s probably the recommended route is to go through the air force academy. The air force academy is a great opportunity for folks to get a very deep, a very profound indoctrination and to learn a lot about the air force from a young age and kind of come up in a way if that makes sense. You don’t really have to make a transition where you get to the point that you are going to commission and go to pilot training. Rob: The second way is ROTC. It’s not quite as structured as life at the air force academy but still you’re getting a very good solid foundation and very pointed direction with your studies. So that’s a good route. You get your college paid for as well if you’re on this ROTC scholarship. Both are very good options. Or you can go to the route that I went which is through officer training school. The nice thing about going through officer training school is I knew before I had to sign on the line that I was going to go to pilot training. I got picked up specifically for a pilot slot. If you got to the academy or you go to ROTC, that’s all up in the air. That doesn’t get decided until you get close to graduation. It was nice to know that if I didn’t get picked up for pilot, if I got picked up for something else because you have to apply for like a primary, like a backup or two career field, it was nice to know that if I didn’t get what I wanted then I wouldn’t have to leave my job. Chris: Yeah, that’s really nice to have that backup plan. Rob: Yeah. To be honest with you, all three ways, like you need to have good grades, you need to study hard. There was a time there especially for OTS, that they were really only accepting for pilot spots people that had engineering degrees. It’s a very short time where they came up with that but I think they’ve since gone back away from that. An engineering degree definitely helps. But I would say yeah, just grades, staying in shape physically is huge. You got to be able to pass the air force PT test. Not only that. If you want to fly fighters, you have to pass what they call the fighter air crew test and it’s more of a strength-focused test where you’re doing all the classic lifts, you’re doing bench press, you’re doing squat, curls. There’s a couple of other exercises in there, and you had to do a certain amount of weight and a certain number of repetitions and that’s just to determine if you’re physically capable of withstanding the G-forces. So there’s that. That’s probably really the best advice I could give, is if that is your goal, then map your route out, figure out air force academy, ROTC or OTS and then find out everything you can about that particular route and do your very best that you can in order to gain entrance to that route and then to stay there. Because the air force is not scared to kick people out. If you’re not making the cut then they’ll tell you to go find something else to do. Chris: I’d imagine especially for a fighter pilot position which obviously every pilot wants to do, it’s very competitive to get in there and so yeah, it’s got to be pretty cut throat as far as the options they have. They have the best of the best that are in physical shape. To hear that they would require an engineering degree is amazing but at the same time it’s not surprising just because that’s the level of competition you’re at. Rob: Yeah, and the bros in the fire squadron will probably kill me to hear me say this but to be honest with you, not all the best pilots want to go the fighter route. There a couple of really sharp dudes that I went through pilot training with. They just didn’t want the lifestyle. The heavy lifestyle really appealed to them so they want that route. Yes, you’re absolutely right. There’s a ton of competition for the fighters. It’s ridiculous. It’s very stressful going through pilot training wondering “Hey, am I going to be on that list? Am I going to be in that shortlist?” For my class, I’d say about 20% of us got to go to the fighter bomber track and then of that, I think we had, I can’t remember how many people we had in my class but we ended up with it’s like five guys if I remember right that went the fighter bomber track and of those guys, three of us went fighters. Chris: So they had their choice basically of the two and they chose transport basically or cargo or whatever rather than the fighter route. Is that right? Rob: Yeah. So when you got through pilot training, there’s kind of different layers of cuts. The first cut comes about halfway through pilot training but it’s fighter route or transport. And then if you’re the fighter, it’s actually the fighter bomber track. From there, at the end, when you get to your assignment night, you could actually go to a bomber. It wasn’t an option for me just because this was like before UAVs were around but you could go to fly like a predator. There are students by the time I got done being an instructor, students were getting assigned to Mk1s and Mk9s. I’m not sure exactly how it is right now but I know over the last couple of years, they have been taking guys from the fighter bomber track and sending them to like C-17s or KC-135s. These jets that were historically allocated to the heavy track. There’s no sure bet in the air force is really what it boils down to. As long as you’re doing the very best that you can and you have a good attitude. I’d say that it is huge, having a good attitude. I’ve seen a lot of sharp guys that have bad attitudes get the cut. Chris: And what would you find a good attitude? Rob: Somebody who’s open to instruction is really a big one. If you’re not open and willing, if you scoff at the instruction and think that “Alright. Copy. I got it, you’re telling me what I’m doing wrong but I think what I’m doing wrong is actually right.” As an instructor, I’ve seen that attitude before. Some people are just not teachable because they’re just too prideful. Chris: Which is very dangerous in aviation. Rob: Oh absolutely. Absolutely. And that’s why that attitude is rooted out very quickly because we just can’t have that. So yeah, somebody who’s willing learn, who’s willing to listen and somebody who’s willing to embrace the traditions. Chris: Interesting. What do you mean by that? Rob: You know, fighter pilot world has a lot of traditions. Going back to when guys first started flying one of the tradition is roll calls. Way back in the day when they first started using aircraft in combat, at the end of the day, because they didn’t have the radios that we have today or they didn’t have the capability to take accountability while airborne. They would set up a time and they’d say “Hey, we’re going to have roll call at 6 p.m.” And so at 6 p.m., everybody that have survived the day would get together to take roll and find out who is missing. That’s kind of how they kept their accountability. And that tradition is carried on through the day even though we have the accountability real time, but we still get together and at roll call we’ll tell stories and just kind of foster the brotherhood that a fighting unit really needs to have. Chris: Great. That’s cool. So on the flipside of that, you’re saying that if someone was resistant to those sort of traditions, they wouldn’t show up to the roll call sort of thing, they’d just be off doing their own thing. Chris: Cool. That’s really interesting actually that that little piece of history has remained and actually really cool. I mean, how neat is that that this tradition from the beginning years of aviation warfare has remained. Probably things that your grandfathers actually did too. In a real sense, in their day, they would have to do it in a real sense. Rob: Yeah, for sure. There’s just a lot of little traditions and stuff. Those are the things that kind of add variety and flavor to this lifestyle. Especially today, we’re doing more with less budget cuts, and these guys are just burning the candle at both ends, just working really hard. It’s nice to have these like little traditions that you can feel kind of set you apart from some of the other career fields. Chris: Yeah definitely. Great. Here’s another question for you. How has simulation play a role in your training? I don’t know what kind of simulators they have their. Do they have any F-22 simulators? Rob: Yeah. Absolutely. It’s been interesting. Since I very first got in, simulators have been a huge part of my flying. Everything that you could possibly think of that has to do with flying, flying instruments, flying executing tactics, just basic aircraft handling, all that stuff is practiced at some point in the simulator. It’s actually even now like I mentioned the budget cuts before. It’s becoming more of a cost effective way to train and so now we’re actually doing these large force exercises in the simulator where you’re linking up guys and simulators around the world, literally around the world and doing these exercises we call them virtual flags. And yeah, it’s pretty amazing what we can as a technology. It’s a great experience for guys, especially young guys who aren’t able to see these giants exercises. It’s good for them to see them in a non-threatening, like non-life threatening environment if that makes sense. Chris: Yeah. Definitely. Tell us about, you mentioned flag. I know this is getting away from the simulation question but tell us about red flag a little bit and what that is. Rob: Yeah, so Red Flag was, I can’t remember the exact year it was started but the whole crux of Red Flag was to prepare the brand new wingmen for combat. To really understand what that means, you got to understand that especially back in the day when air combat was happening frequently and there were dogfights and air to air engagements were a regular part of war, there’s a lot of fog and friction associated with that. It gets very confusing especially when you’re trying to like identify somebody to shoot and you’re running your rules of engagement. There’s a lot of radio comm that goes on because you have to have coordination and you can’t all be on separate frequencies and so now you have like your Red Flag hundreds of aircraft that are on the same frequency and everybody’s talking and everybody has something important to say and that can be very confusing to a new guy. And so Red Flag is an opportunity. It’s almost like stress inoculation when you think about that. That was the whole crux of that particular exercise, was just to expose these young guys to that so that when they get to combat, it’s not their first time seeing it and they don’t have the jitters from that first employment. It’s since kind of evolved into something even bigger. Now, it’s an exercise on command and control as well as the air to air combat and the air to ground combat pieces. It’s much bigger than fighter pilots. It’s bigger than bomber pilots, bigger than C2 command and control. It really is almost like an entire force exercise. Chris: And you guys go out to Vegas to do that or where do you do it? Rob: Yep. They got one in Vegas. That’s the one that they did, the Fighter Pilot IMAX movie. I don’t know if you ever saw that. Chris: I did yeah but it seemed not too authentic. It wasn’t as authentic as I wanted it to be. Rob: Yeah, there was definitely some stuff that was staged. The funny stuff I actually know one of the guys that was in that movie. One of the guys that was in that movie flying the F-16 was one of my instructors going through the F-22B course. It was pretty funny to see him. It was like “Hey man, you’re the guy in the movie.” I’m sure they gave him a part and I was like “Hey man, can you do this when you’re airborne?” I’m sure it was like not easy for him to do because it’s kind of cheesy but yeah, some of the air footage definitely not really authentic. However I think they did a pretty good job of kind of just showing the whole process with the big mass brief in the beginning, that big room that big auditorium, and just showing just the sheer numbers of aircraft and pilots involved. They did okay. I can’t scoff them entirely. Chris: It was cool in IMAX too. I think I saw it in IMAX. Chris: Did you, I know this is a separate branch but did you see Speed and Angels, that movie? Chris: Man. I might have to send you a copy of that show. It’s really, really great. It’s about the final, and just for our listeners too, it’s about the final or some of the last pilots to go through training for the F-14. It just kind of shows their experience and there’s one male and one female pilot that go through that. And they have vastly different experiences. One of them ends up getting deployed and gets in command. They must have declassified some of the information because he is actually able to talk about all that. And then she struggles quite a bit with landing on a carrier at night. It’s just really interesting, really well done. It’s on Blu-Ray. Really nicely done. Rob: Yeah. I definitely have to check that out. Chris: Alright. Let’s kind of wrap up here because we’re getting to our time. I could go on and on, maybe we’ll have to have you on this show again some other time. Chris: But I’d like to get your final inspirational words for those that are out there that have captured the aviation bug. Maybe they’re trying to get into military, maybe they aren’t, but you’re the perfect example of this story because you have this bug and it kind of showed up a little later in life than a lot of people start to pursue aviation, so what would your final words of advice or inspirational words be for someone in that position? Rob: You know, I would say that probably the biggest thing that keeps people from following their aviation dream is fear like “Am I going to be able to do it? Am I going to be able to succeed? If I fail then what do I have to fall back on to?” There’s kind of a barrier there. And so what I would say is if you really love aviation and you want to make it a career, just go for it. As simple as that is, I think there’s actually a lot of consequences behind that and you got to weight those and decide “Alright, is it really worth it? Do I love it enough to face the consequences if for some reason it doesn’t work out?” Once you make that decision and you take the leap, just give it all you’ve got. Just give it everything you have. Don’t stop working until you get what you want and it’s definitely possible. But I definitely understand that there’s a lot of stuff that’s based on timing and a little bit of luck but it’s amazing what you can overcome and compensate for if you have the right attitude and the right determination to just sit down and power through the difficult parts. Chris: Maybe you can attest to this too but I feel like if you follow your heart and you know this is a passion of yours, you know it’s something you’ve always wanted to do and you go for it, there is this time as a pilot. It kind of happens at different stages for everybody but there’s this time and pilot training where at some point, you really know that you are where you’re supposed to be. I think that happens for everyone. Did that happen for you? Chris: Right, exactly. And maybe that advice goes outside aviation. Maybe someone listening to this, they’re kind of dabbling in aviation sort of thing but maybe their passion is really over elsewhere. So really, I think that goes to anything. We spend so much of our lives working, we may as well enjoy it. Chris: Well I really appreciate you being on the show. Really cool to hear your perspective and to hear your story. Again, thank you for your service and we’ll keep up with you so thanks for joining us Rob. Rob: Awesome Chris. Yeah, thanks for having me man. It’s been a lot of fun. Chris: No problem. We’ll catch up soon. Chris: Alright, so I’ve always had this utmost respect for what is called the greatest generation, and the greatest generation is that of those during World War II that were of the age to go to war to fight for the good side if you will, the force or whatever. Obviously, that’s the Allied Forces I’m talking about. But these are people that answered a call to action. In this interview with Rob, I think that’s the biggest thing that touched me, was that Rob answered that call to action in our modern day. He was, obviously got his degree in finance, went to Boston, had a job there at an investment firm, enjoyed his job but then this thing called 9/11 happened and it sparked this journey that he’s been on and he hasn’t looked back since. And now, he is fighting in the military or he’s in the military and has the ability to fight if needs be for our country and has because he has been deployed. I just think that’s so awesome that Rob answered that call to action and went out and kind of followed the road that his grandfathers had been on in being pilots in World War II. So I thought that was so interesting and just so amazing. And not only that, you can tell that Rob is just a top notch guy. He absolutely loves his job. He loves aviation, loves his family and it was absolutely fantastic to have him on the show, so Rob, thank you for coming on the show. It was a great pleasure and I know that for all of us, you inspired us to see this passion for aviation, kind of a different light from the military side and it just goes to show that no matter what part of aviation you are in, you have a piece in the pie or a piece in this industry and you have something to share. It was really great to have Rob on the show and I hope you guys enjoyed it too. Make sure to go on the AviatorCast website and see some of the links and things I’ve put on there. Rob has a great website called tallyone.com in which he writes on and he has some other source material there too. He actually has some really nice t-shirts and I plan on getting one of these t-shirts. He has cool stuff on there. I’m also going to post some pictures on the post on the website and a video that he told me about that they made in pilot training. Kind of a Napoleon Dynamite spoof if that gets you excited. Anyway, so again, Rob thanks for joining us on this show, and for you listeners, go to AviatorCast.com and find the episode there and the information there and check out some other stuff that Rob has going. They have a lot of great stuff. Not only tallyone.com but they also have this Slipstream radio podcast that is pretty great as well. Alright, so that’s it for the show. We are going to wrap up here with our aftershow AviatorCast actions. You can take a quick two-minute survey at survey.aviatorcast.com. Here you can give us ideas for upcoming shows. Second, you can continue the conversation by joining us on this episode on AviatorCast.com. You can comment there or you can write me directly at me@aviatorcast.com. I’d love to hear from you in either location. I do get emails and I do answer every single one of them and I make an effort to answer everyI’d love to hear from you in either location. I do get emails and I do answer every single one of them and I make an effort to answer every single comment as well. You can also subscribe. Don’t miss another AviatorCast episode. You can subscribe through iTunes, Stitcher, YouTube, SoundCloud and more. Really simple there and that means you won’t miss another episode. Fourth, we’d love to get an honest review from you on iTunes. This helps others learn about AviatorCast so that they can enjoy it as well. That review from Mike20SM at the beginning of the show came from iTunes. We really love to hear from a lot of you in different parts of the world and even here in the United States and Canada and kind of North America but we’d love to hear from you so if you do enjoy this podcast, please leave us an honest review on iTunes and we will read it on the show. If you’d like to check out any of our training products here at Angle of Attack, head to FlyAOAmedia.com. Start with the basics for free with Aviator90, learn instrument flying and more with AviatorPro, or even fly many of the world’s most popular jets virtually with our training products for the 737, 747, 777 and MD-11 again at FlyAOAmedia.com. Angle of Attack also offers professional video services and creative services at AngleofAttackPro.com. Just reach out to us there and we will talk about your project. Alright, so closing now, many thanks go out to the Angle of Attack crew for all of their hard work to make this episode possible and all they do outside AviatorCast. These guys are absolutely awesome, and they work their tail off when it’s time to really get after things and even when it’s not time to get after things, these guys are in the trenches doing great things for us. And last but certainly not least, thank you for joining us on this episode of AviatorCast. We are truly grateful to have you here, part of our community and so engaged in this wonderful passion for flying things. Until next time, throttle on! Hi Chris! Greeting from Taiwan! I really love this amazing podcast,which makes my determination to become a airline pilot even more strong. This episode particularly drives me forward as the inspiring story of Rob reflects the saying of “follow your heart”. Anyway, thank you Chris and AOA for bringing this podcast and other training products, really having learned a lot along the road. Keep up the good work! Glad you enjoyed it! I found it inspiring as well. Keep going for your dreams!